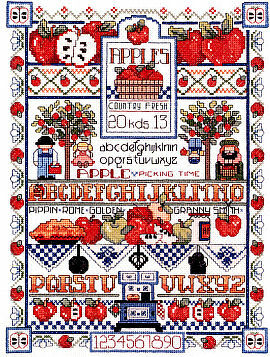 Apple Sampler is a counted cross stitch design by Linda Gillum. 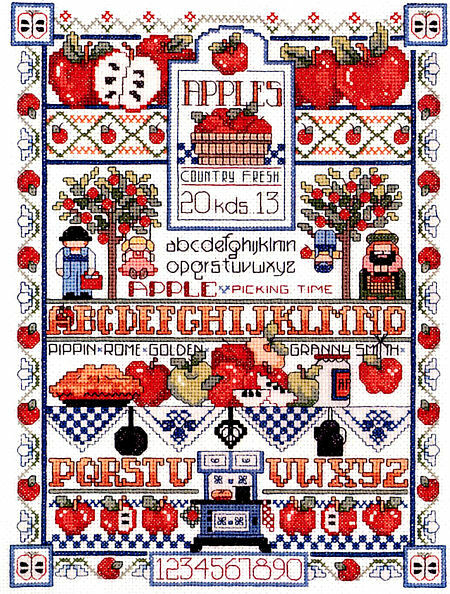 This sampler is colorful and the design is fabulous. Contains: 14 count Aida fabric, 6 strand carded 100% cotton floss, floss card, needle, graph, instructions. Contents: Size 9" x 12"